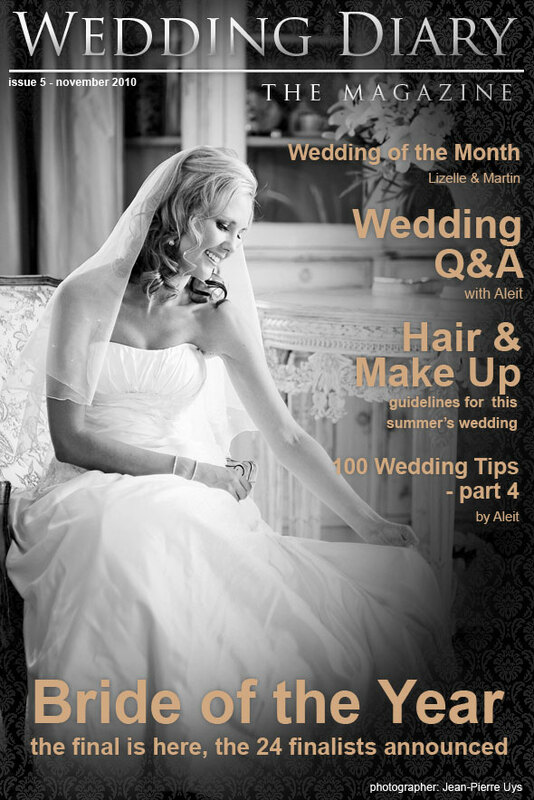 In this issue we provide some hair and makeup guidelines for summer, we take a look at the line-up of other national wedding events and entice you with what our bridal competition has to offer - hoping that we will see you there! Do enjoy this issue and we look forward to receiving your feedback. A 5 night stay at one of the worlds most luxurious private island resorts. Coco Palm Bodu Hithi is situated on the private island of Bodu Hithi in North Male’ Atoll, a 40 minutes (29 Km) well appointed speedboat ride from Male’ International Airport. This island has grown natural vegetation with naturally designed sandy walkways, edged by white sandy beaches and coconut trees and surrounded by turquoise seas and isolated sand banks. The ambience of the island will be enchanting the most discerning. Hundreds designer’s villas and suites will offer a new choice of distinctive accommodation in the Maldives blending contemporary inspirations. Every Villas will offer indulging bathrooms, with designer’s fixtures and branded amenities. The island management is committed to maintaining Coco Palm Bodu Hithi as a truly natural island paradise, with an emphasis on conserving the environment. Although the resort takes its environmental duty seriously, yet there is nothing to detract from the guest experience. Trogon Houselies in untouched indigenous forest - halfway between Keurbooms River and Natures Valley, the most scenic and unspoiled stretch of the Garden Route. Elevated into the tree tops, the lodges embrace the forest with see-through glass walls and sky-lit roofs, creating a true “nature forest" experience. This secluded hideaway offers two lodges, namely Malabar Lodge and Tomba Lodge designed to house 5 luxury rooms and 2 suites. Both lodges are identical and tastefully decorated with exquisite attention to detail; each piece is handpicked: The finest Egyptian linen, silks and crystal combined with exotic antique and African art treasures – pure indulgence for all senses is guaranteed and offered for a guest’s absolute enjoyment and pleasure. Deep in the forest between the 2 lodges a lantern lit open fire boma has been created for you to escape to absolute stillness or to celebrate events for up to 20 people. The forest spa, which is available to both lodges, houses a natural stone fireplace with a candlelit Jacuzzi and glass steam room. The various massage and wellness treatments are provided by a renowned therapist and range from salt scrubs and Swedish Massages to Hot Stone and Aromatherapy treatments. What really sets Trogon House apart, is the absolute privacy and exclusivity in the midst of nature’s pristine beauty.Trogon House & Forest Spaprovides a sanctuary of peace and serenity that allows guests to unwind and enjoy luxury in natural surroundings. Javaid Aslam was born in England. He obtained his fashion degree in the UK. His impeccable eye for detail developed through extensive international experience, such as collaborations with Burberry (accessories), Savile Row Tailors U.K., Donna Karan, Calvin Klein (embellished embroidery), and Dunhill (leather goods and accessories). His designs appeared in Vogue (UK), Elle (UK), FHM (UK), Cosmopolitan (SA), Sarie Bride (SA), Roi Roose (SA), GQ (SA) and numerous articles in papers and magazines. Our winning Bride and her husband will have the opportunity to spend R1000 per month on groceries at Pick n Pay for 12 months. Thank you Pick n Pay! 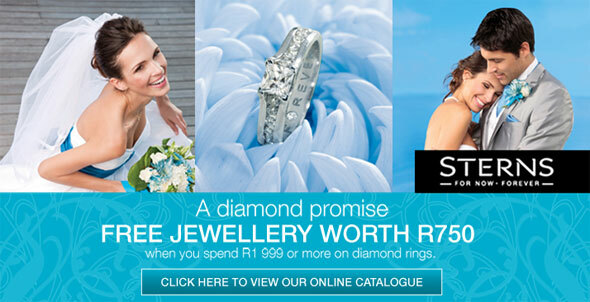 Beautiful diamond jewellery worth R25,000from your favourite Jewellery Store, Sterns. 80. Have a rehearsal at the venue two days before your wedding. Hold it at the precise time that your wedding is set to occur and include the complete retinue, the MC and the photographer. 81. Enjoy a manicure, pedicure and a relaxing aromatherapy massage, you deserve it! Arrange your final facial no earlier than three days before the wedding. 82. Wear in your shoes and practice walking in them. You want to walk (not hobble!) gracefully down the aisle. 83. Ensure that your dress is hung in a safe place the moment that you check in at your accommodation. Steam out any creases so that it’s ready for day. 84. Follow tradition and don’t see the groom the night before the wedding. This makes the walk down the aisle all the more special. 85. Try to hold the hen party and stag night a few weeks before the day - dark circles and headaches have no place at a perfect wedding! 86. Amidst the excitement of your special day, remember to take time to savour the experience. It really goes by so quickly. 87. Don’t let little slip ups spoil the experience. Rather laugh them off and focus on having fun. 88. Try to eat something small on the morning of your wedding, even if you’re feeling a little nervous. You need energy for the big day ahead! Most accommodation venues can arrange delicate snacks or platters. 89. Worried about dress tears or slipping veils? Keep a small emergency kit with a needle, thread, plasters, hairpins and safety pins. 90. Ask one of your bridesmaids to keep an eye on timing. The bouquets should be delivered before the photographer’s arrival, and hair and make-up artists shouldn’t depart until the photographer has started with the bridal portraits. 91. Your honeymoon should reflect what you enjoy doing as a couple. A tropical paradise is ideal for long, lazy afternoons in the sun, while Paris, New York and Dubai are fantastic for fabulous shopping sprees. If you’re the adventurous type, try South America or even a luxury safari. 92. Book your honeymoon flights and reservations well in advance. If you’re travelling overseas, check that your passports are in order. 93. If you’re not leaving directly for your destination, continue the enchantment of your wedding day and spend your wedding night in a luxurious five star hotel or guest house. 94. Organise your traveller’s cheques and confirm all honeymoon arrangements two weeks before the wedding. It also helps to pack your luggage in advance, taking the destination’s climate into account. 95. Feeling the pinch? 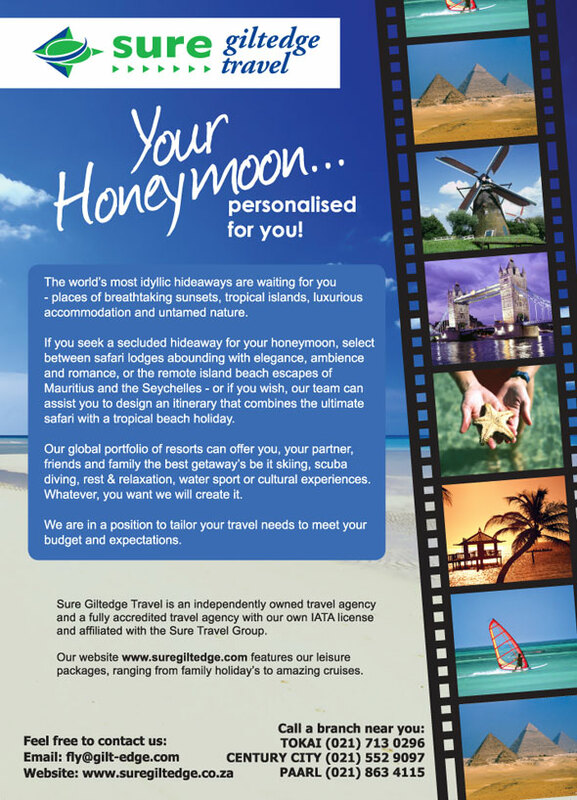 It’s a growing trend for couples to ask guests to make a contribution towards the honeymoon instead of offering gifts. 96. 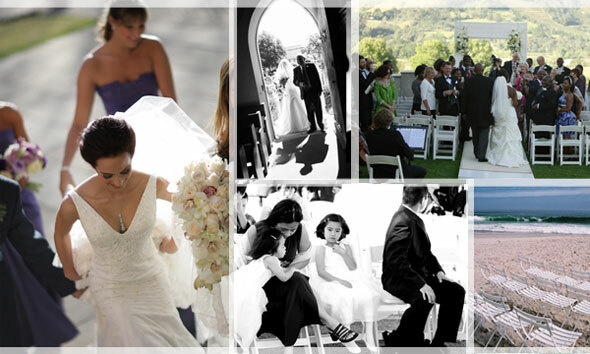 Your big day wouldn’t have been possible without the help of some special people. Send personalized thank you cards to all your guests and service providers. 97. Sort out any admin - make a list of all the institutions that still need to be informed of your name change and finalise any outstanding payments. 98. Collect your photos or arrange to have them delivered. Choose which ones should be enlarged and give copies to close friends and family as a thoughtful gift. 99. Get your dress dry-cleaned. If it was hired, make sure that you return it to the company on time. 100. Smile and look back on what was one of the most memorable and magic days of your life! A very exclusive, sensory wedding experience will be hosted at The Michelangelo Hotel on Nelson Mandela Square. The event is Experience the Exquisite at The Michelangelo, as that is exactly what it is going to be. This 3 day event from 3 - 5 December 2010 will feature a maximum of 45 wedding professionals (limited per category), who will have the opportunity to exhibit their products and/or services. Unique stand displays with fabric "Twist Walls" will feature, influenced by dynamic lighting and wrought iron structures to support and complement the frame. - Only 45 handpicked professionals at this event, with limited categories to ensure you do have to compete with a mass of similar services. This will almost guarantee that your services will be made use of by prospective bridal couples. - The advertising and marketing campaign reaches in excess of R400 000. Very selective advertising has been chosen to attract the right calibre of visitor to this event. A/B income group, LSM 10 and upward. The affluent black market is also being targeted. Our media and marketing campaign includes billboards (a full month prior to the Experience), radio, online, print magazines, newspapers etc . - The digital brochure (CD) will replace endless paper brochures/leaflets, which will include details and images of the services/products on display, as well as articles with tips and ideas on planning a wedding. Gifts, samples and special offers will also be included in the gift bag. - Interactive workshops. Exhibitors will have the opportunity to further showcase their products and services by booking a 20 minute workshop slot. The purpose of these workshops is to have an interactive, open discussion and the visitor will have the opportunity to ask questions. - A quality assurance for guests is that all Wedding Professionals of the event will become a preferred provider of The Michelangelo Hotel. This means that guests are assured of dealing only with the finest, quality services providers like one would expect being associated with The Michelangelo Hotel. - Daily tastings by Michelangelo Hotel chefs, who will promote their Breakfast, High Tea, Lunch and Cocktail wedding menu concepts throughout the day. Guests will be seated (150 at a time) and The Michelangelo chefs will provide a 20 minute presentation with tasting opportunities. - Interactive workshops included in the entrance fee. There will be six workshops over the three days. 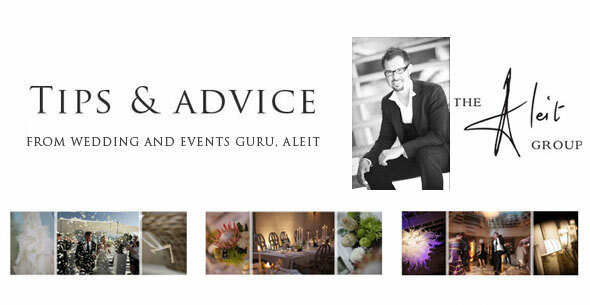 Each workshop will be unique with four wedding professionals per workshop (different categories). - The first 5000 guests to book their tickets will receive a gift bag which will also include a digital brochure (CD), detailing the wedding professionals on display, as well as tips and ideas on planning a wedding. After the event guests can browse the digital brochure at their leisure. Guests (visitors) would have the opportunity to enter a massive "win a wedding" , the value to be announced shortly. Guests may use their ticket to enter the competition. 3000 tickets are available through Computicket (guaranteed a gift bag) and ticket sales will also be available at the venue door. The first 2000 guests at the door will also receive a gift bag. If you are a bride or groom to-be and would like more info on Experience the Exquisite, or a quality service provider that would like to be become a preferred provider of The Michelangelo and exhibit to a target audience who can afford your services, please contact Roxy on 082 563 5412 / 082 655 1179 or email roxy@the- exp.co.za. 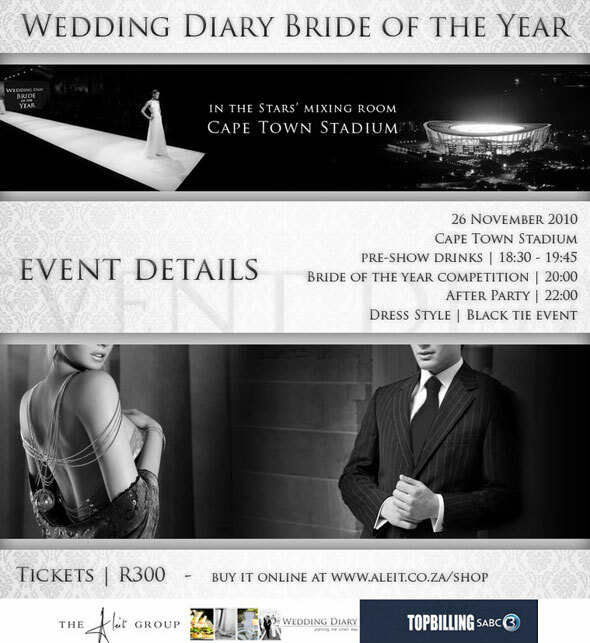 visit www.the-exp.co.za for a sneak preview of this sensory wedding experience. Much more will be included in the prize, to be announced soon. Guests can enter the win-a-wedding competition at the event. Book your tickets now through Computicket and also receive a gift bag. Their wedding day was a spectacular occasion, held at Val de Vie Polo and Wine Estate in the Paarl-Franschhoek winelands. Martin describes it as his dream venue – not only does it boast an enviable location, it also reflects his lifelong passion for polo and horses. The ceremony began in the late afternoon at Franschhoek’s charming Dutch Reformed Church, and was a moving experience, with a full choir leading the hymns and an organist filling the church with a symphony of sound. After the ceremony guests moved on to Val de Vie for pre-reception drinks, where they also savoured decadent canapés and enjoyed a few games of croquet and boule, as well as a live polo match! The reception was held inside the estate’s manor house and had an elegant white on white decor scheme. Two long tables were set with the finest linen, while decor features included fabric drapes, soft lighting and arrangements of white and off-white large open garden roses. As a Hungarian trio played vibrant melodies, the newlyweds and their guests feasted on dishes like mustard and rosemary crusted beef fillet medallions with seared wild mushrooms, sautéed fine green beans and crisp potatoes wedges. After the feast, guests were led by the couple into a secret room that had the chic ambience of a city cigar lounge. To add to the surprise, a live ballet performance provided enchanting entertainment, marked by its graceful style and execution. Once the couple had cut the gorgeous wedding cake (a moist chocolate truffle cake covered in ganache and roughly wrapped brown chocolate), they opened the dance floor and showed off their moves with aplomb. It was a memorable celebration - guests danced the night away and indulged in huge platters of canapé-style desserts, such as buttery shortbread hearts, caramel and honey pecan slices and chocolate cupcakes with orange chocolate ganache. Lizelle describes her favourite moment of the wedding as walking down the aisle, with Agnus Dei being played, and seeing her soon-to-be husband. "Thank you Aleit and team for making our dream day a reality." Thanks to our appealing summer climate, this season remains first choice when it comes to getting married within South Africa. That said, it is also the most challenging when it comes to hair and makeup. We have therefore put together some guidelines that will help you look beautiful and fresh as the temperature rises. Planning strategically for a summer wedding is key to remaining fresh and beautiful all day long. Remember that you could be moving from a cold air-conditioned space into hot, humid outdoor spaces and the products you use need to be able to convert smoothly without losing effect. When you have a trial with your makeup artist, be sure to plan your entire day so they can fully understand all the possible elements and decide which products to use in order to withstand the related conditions. Your make up, like summer, should be light and fresh. Heavy makeup on a hot day can easily make you look drained and breaking into a sweat would then be more apparent than you think. If you need slightly more make up to enhance your facial features or conceal flaws, be sure to choose the right products as well as a makeup artist that is experienced and knows what they are doing. If you plan on wearing eye shadow, an eyelid primer will help prevent your makeup from creasing or disappearing. As we always say - less is more. The same counts for foundation in warmer climates. A tinted moisturizer is ideal. Make use of concealer to target problem areas on your skin while allowing the rest of your face to appear more natural. Choose a soft and pretty lipstick color to complement your natural look. If you want to ensure your lipstick remains in perfect condition the entire day, make use of a neutral lip liner before applying the color. The biggest obstacle with summer hair is frizz. This can even be true for straight hair, and an absolute nightmare for curly haired brides. The best way to beat frizz is to use the right products that are designed to keep your hair looking smooth and neat at all times. 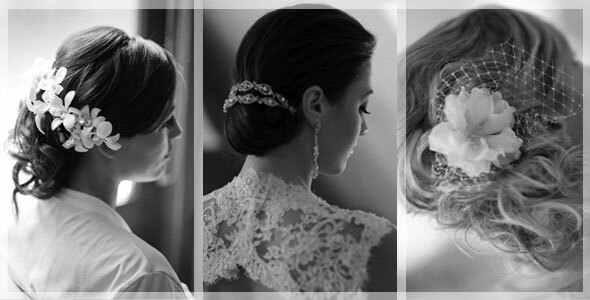 Choosing the right hairstyle for your summer wedding is essential in order to look fresh and radiant. Keep it simple and unpretentious, and remember that elaborate hairstyles are prone to wilting in the heat. 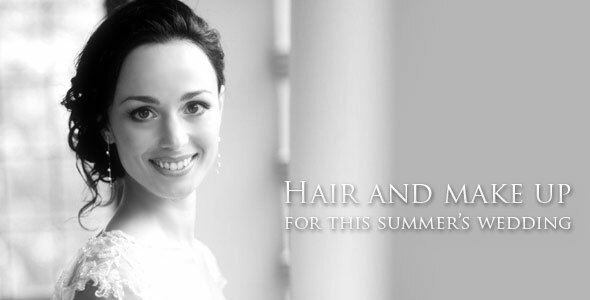 The most suitable summer hairstyle is to wear your hair back, keeping it simple, clean and under control. Consider pearls and crystals for your hair rather than fresh flowers as the latter are prone to wilt in the heat. If, however, you really like the idea of a floral head adornment shop around for good quality silk flowers or a beautiful flower shaped jewellery item. Not only will these replicas wear better over the course of your wedding day, but you will be able to use them again for other special occasions. With these guidelines in mind, you will be a picture of radiance throughout your entire wedding day! CREATING PERFECTION! Being a professional with a commitment to excellence, I promise to reduce the stress on your big day, as my focus is you! With special make-up techniques, products and care given to highlighting your best features, concealing the problem areas and creating the perfect look of illusion your look will compliment your dress, hairstyle and your photographs will capture your radiance. I am a make-up artist with a passion for my work! I believe that beauty comes from with in, so with my magic and your beauty you will be a glamorous bride! I travel to your destination and specialize in theAirbrush technique to beautify your features. 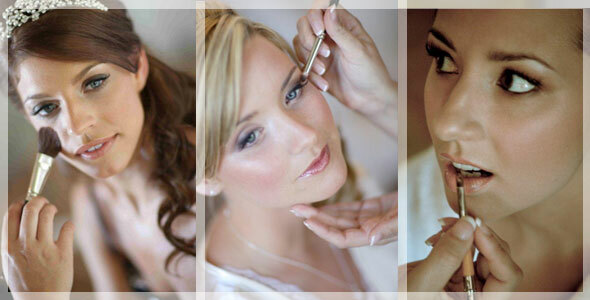 I am a professionally trained make-up artist with over 25 years of photographic experience. The make-up I apply will last 12+ hours and is applied to enhance your natural assets using the highest quality techniques. I will get to know you on a personal level, as your special day means as much to me as it does to you. Please contact me to book a trial application. 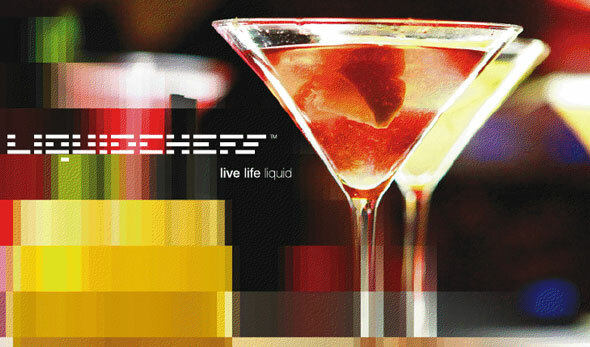 Motivated by the vision of a mobile bar experience, LiquidChefs was born in 2003. Within three years, and with several new minds on board, the intrepid company expanded from Johannesburg to Durban, Pretoria, Cape Town and London, as the pioneer of South Africa’s mobile cocktail bar services. By shaking up the concept of cocktails and smoothly blending entertainment with contemporary lifestyle, LiquidChefs has started a liquid revolution – a movement – that extends from comprehensive mobile bar services to revolutionary concept stores, and covers absolutely everything in between. This is a tale that started with two guys returning from a bar-tending stint in London with nothing but dreams and a thousand pounds. Their humble beginning saw no fame or fortune; only sleepless nights and hard work. Rumours began to spread, and quickly evolved into something else entirely. A body of liquid chefs. A collective of like-minded individuals who changed the traditional understanding of ‘parties’ and ‘drinks’ and ‘entertainment’. A movement of individuals who believe in the same things, who live life liquid. In short, LiquidChefs is not about history. It’s about the present, built on a solid foundation in the past and looking to a trend-defining view of the future. Start off with a simple but superb platter of salmon and cucumber twirls, follow it with an unforgettable dish of smoked paprika prawns with chickpeas and cherry tomatoes, and end the meal – and the most wonderful day of your life – with a decadent chocolate truffle and raspberry tart. A celebration in every mouthful! carefully roll to create a coil. one into a rose shape. • Heat pan over high heat and flash fry prawns in a little oil. Remove and set aside. • Reduce heat and fry onion and garlic until soft. Add tomatoes and cook until they begin to burst. • Toss in spinach and prawns. Allow spinach to wilt and prawns to reheat. • Blitz biscuits in a blender to form fine crumbs. Add melted butter and blitz again until well combined. • Transfer chocolate mixture to a bowl. Allow to cool. • Spread half the chocolate mixture over biscuit base and leave to set for a few minutes. • Top with remaining chocolate mixture and chill tart for 1-2 hours until firm. Here at In and Out, we have simple aims and the highest possible standards. Whether you are entertaining clients, about to celebrate the biggest day of your lives or hosting friends at home, our goal is the same, to make your event stand out and your guests never forget your wonderful hospitality. We are not the stars of the show, you are. We like to be challenged, we relish the opportunity to be creative and every member of our team faces each task with energy and enthusiasm. In and Out has a simple mission: to provide each and every client with an experience that exceeds their expectation. We thrive on a challenge, working with creativity and pragmatism. Everything that is desirable is achievable. Grootvlei Guest Farm is situated 6km from the charming fishing village of Lambert’s Bay with its moderate climate all year round. It is within walking distance of the Atlantic Ocean and its long, uninterrupted white beaches. During the flower season from July to early October each year, the area is covered with a tapestry of brightly coloured wild-flowers. Conservation of the dune vegetation has seen the return of small game and you may spot a duikertjie or other buck on an early morning walk. Birdwatchers will have a field day spotting a large variety of birds, or if you are lucky, you may see Heaviside’s dolphins, whales and seals frolicking in the blue waters a short distance from the beach. Grootvlei Guest Farm boats 2 accommodation establishments. Grootvlei Guest House B & B (TGC 4 stars), a spacious double storey homestead offers 7 stylishly decorated double bedrooms. All rooms treat guests to luxurious bed linen, an en suite bathroom with shower and pampering toiletries, satellite TV and a coffee/tea station. The various lounge areas and outside patios ensure a restful retreat after a busy day exploring the West Coast. The Grootvlei On the Dunes B & B (TGC 3 stars), situated amidst the dunes at the edge of the Atlantic Ocean, comprises four individual en suite units, each one uniquely furnished and decorated with meticulous attention to detail. The Grand Suite comes with fireplace, luxurious king size bed and a unique open roofed, shell shaped bath/shower where one can refresh while gazing at the stars and listening to the crashing waves. The freestanding communal lounge area offers uninterrupted views of the beach, a sheltered veranda and a cosy fireplace. Grootvlei GuestFarm has 2 event venues. “Innituin” venue is set amongst Grootvlei's spreading gardens and multiple water features. Borrowing from the traditional West Coast latjieshuis (reed house) look, the venue's outer walls are clad with a reed finish. An impressive oval shaped, double volume roof complete with intricate, exposed wooden beams, adds to the drama of the structure. 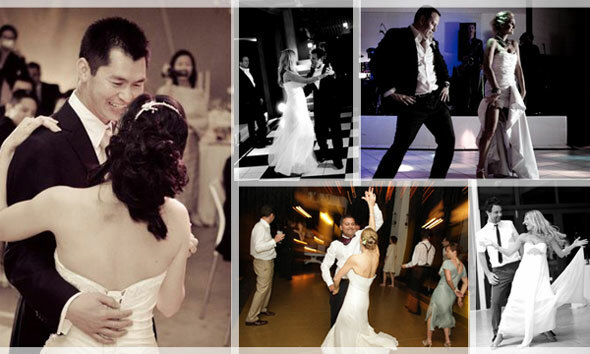 The venue lends itself perfectly to large special occasions such as weddings, conferences and the performing arts. The size of the venue allows for seating up to 250 guests, cinema style seating for up to 600 concert goers and schoolroom seating for approximately 120 conference attendees. The “Oppiduin” venue, an intimate space fronting the crashing waves on the beach below, captures the rugged, unpretentious soul of the West Coast. Constructed with a unique shell clad exterior and natural flooring of shells collected from the surrounding beaches, the oval shaped building with lattice roofing lends itself to informal entertaining and smaller sized special occasions - whether it be a memorable wedding reception, the authentic closure of a team building experience or hosting the performing arts in a unique setting. With comprehensive event coordination-, catering- and decor/florist services available in house, the Grootvlei team will assist in hosting your special event. DISCLAIMER: Material contained within the Wedding Diary Magazine is intended for general informational purposes only. Wedding Diary and their respective partners does not warrant the accuracy and completeness of this magazine, and assumes no liability whatsoever for any action taken in reliance on the information contained in this magazine, or for direct or indirect damages resulting from use of this magazine and its content. Any unauthorised use of material contained herein is at the user's own risk. Reproduction, distribution, republication and retransmission of material contained within the Wedding Diary Magazine is prohibited unless the prior consent of Wedding Diary or their respective partners has been obtained.